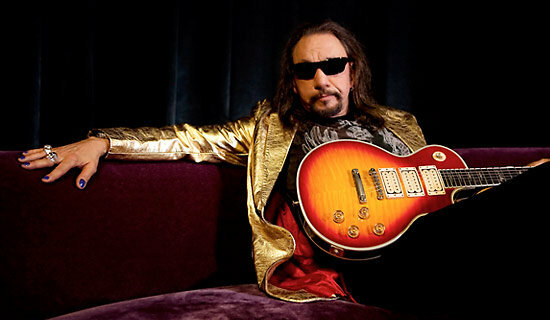 Ace Frehley is fighting a foreclosure action on his New York home. The Journal News reports the former KISS guitarist faces a June 11 foreclosure conference at Westchester County Court in White Plains, NY regarding his home. If he or his attorney can’t attend, the court must be informed a week beforehand, according to the May 8 notice. In February, U.S. Bank National Association claimed in a foreclosure filing that the rock star, whose real name is Paul Frehley, stopped paying his $735,000 mortgage on March 1, 2011. U.S. Bank National Association is a trustee that manages the asset-backed securities tied to Frehley’s home mortgage. Frehley’s White Plains attorney, Daniel Seymour, declined to discuss his client’s case Thursday but said that he’s in an active discussion with the bank. On Thursday the Yorktown Tax Receiver’s Office said that all back taxes on the home had been paid. State law requires foreclosure settlement conferences for any case begun after Feb. 13, 2010. At the conference, the court will discuss the parties’ rights, determine whether the parties can reach a resolution to avoid foreclosure, evaluate settlement options like repayment schedules and plan subsequent court proceedings if needed.